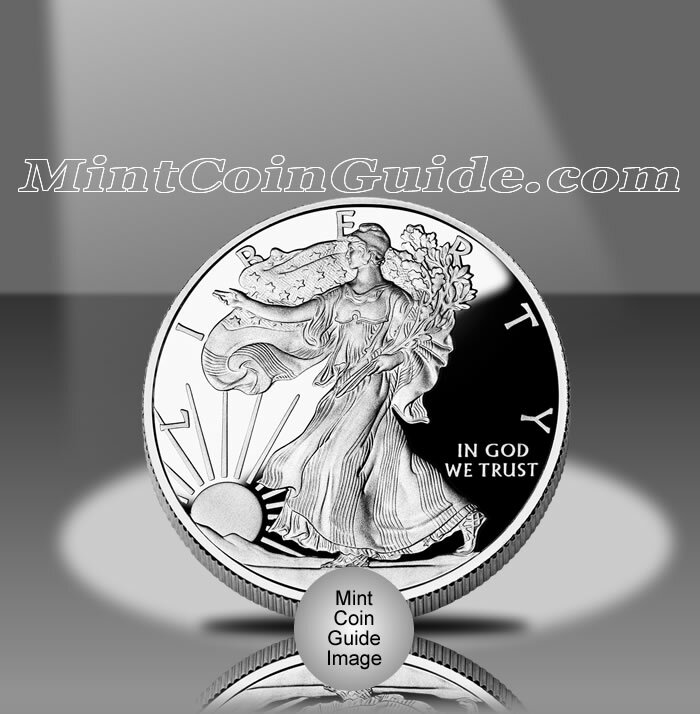 The 1986 American Silver Eagle Coins were the first silver strikes produced by the US Mint under the Liberty Coin Act of 1985(Public Law 99-61). Congress created the Act with two major purposes in mind. First, the bullion coins would provide investors with a low-cost method of adding silver to their portfolios with the United States Government’s guarantee of weight and purity for each coin. Second, the silver used for producing the coins would be taken from the nation’s strategic stockpile of the precious metal to lower the amount being held by the government. Both the bullion 1986 American Silver Eagles as well as the proof 1986-S American Silver Eagle were released late in the year, but still saw intense demand from investors and collectors as the debut year for the coins. A total of 5,393,005 of the 1986-dated Silver Eagle Bullion Coins were sold by the US Mint. A majority of those sales came in the last two months of the year when the coins were first available with the remaining strikes sold the first part of 1987. The United States Mint shows a total of 1,446,778 of the 1986-dated Proof Silver Eagles were sold. The 1986 Silver Eagles served as the debut strikes for the program which have been produced annually ever since by the US Mint. The US Mint released the Silver Eagles in the last few months of 1986. The Proof Silver Eagles sold for $21 a piece from the US Mint while the bullion Eagles were sold by the Mint’s authorized purchasers for a small amount above the current market price of silver at the time. Each Silver Eagle was produced at the US Mint’s facility in San Francisco, however, only the Proof coins contain a ‘S’ mintmark. Adolph A. Weinman’s 1916 "Walking Liberty" half dollar design is featured on the obverse (heads side) of each Silver American Eagle. The reverse (tails side) shows a heraldic eagle as designed by John Mercanti.